Five tips to get the career that you want! I often play my cards quite close to my chest on things of this nature. First and foremost I'm a Mum and that's where my efforts have, and always will, be. But there are definitely things that I want to achieve on the work front. This post is about my journey so far and the strategies I've used recently to push things in the direction that I would like them to go. When I started as a Stylist 9 or so years ago now, it was very much about building the business. I was doing lots of personal styling appointments, organising events, presenting in store for brands such as M&S, as well as running fashion shows. The hours were long, physically it was exhausting and with three young children, I now look back and think that I was probably slightly crazy. But I had left the law behind and I wanted to prove that I could make a success of my new venture. Shortly after I started styling, I started the blog. It was a spur of the moment thing (as you can tell from the name!) 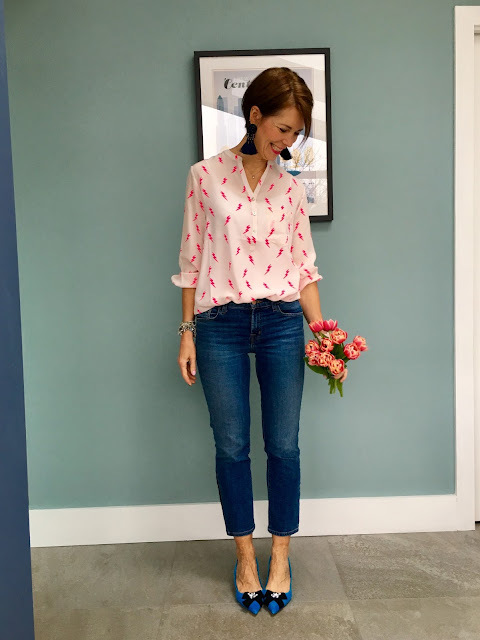 largely because I love words and I missed writing but also because I thought that there was room for a blog run by someone over the age of 25, to post daily outfits. Many of you have been with me since the start and I am grateful to each and everyone of you who reads my posts. As the children were young, I could work in the day and blog in the evening. And it all seemed to work quite well. The blog quickly took off - well as far as I could tell it did - because coming from a legal background I had no idea about google analytics. Monetising a blog wasn't really an option in the early days either. But Style Guile was shortlisted for an award and I got a trip to London where I met Trish Halpin, the then Editor in Chief of Marie Claire. Had I had even an ounce of nounce about me I would have capitalised on that shortlisting big time. But I just didn't know how to so I failed. Miserably! What happened next was that I became intimidated. New blogs popped up and I felt that they were all better than mine (probably because they were!) to the point that I couldn't read them. The Daily Mail took a pop at me and knocked my confidence. So I took the decision to forge my own path without looking around me - operating in a vacuum really. And that was probably a really silly thing to do. But in some ways it wasn't entirely surprising really - I mean we are talking about the girl who studied for, and took, her Law Society Final exams without ever opening the core materials that were given to her on day one. Scaredy pants! Having said that, equally I had lots of balls to juggle with the styling, and the children, so it wasn't easy for me to raise my head above the parapet and engage, and nor was it easy to get down to London for the events and press days which really help when it comes to forging relationships with brands and meeting other bloggers. Equally as I was working on growing the styling business, my time for blogging was limited. Despite being able to get down to London only infrequently, interestingly I was once accused of being "Smug and London-centric" by someone on Mumsnet. The group that many of us know and love (!) I really would hate to think that I came across as smug but London centric? Even less likely when you live in Birmingham. I watched from afar what other bloggers had to tolerate in terms of "abuse" and I really didn't want to have to go through that, so I just kept my head down. What I should have done was shrugged it off and laughed. I never really set out to make money from the blog, even when it became easier to do so. My intention was to only post, where possible, about things that I had seen in real life. I felt that it was important to be authentic and genuine, so that when I was recommending pieces, it was from a position of knowledge. So whilst I do use affiliate links, if I do earn any commission it's more a case of luck, rather than because I go hunting for pieces which will earn lots of commission for me. Then in the late summer of last year I met several people, independently of one another, who just made me see things slightly differently. It was as if the stars were starting to align. I started to re-assess what it was that I really love doing, where I wanted to get to and how to get there. I started to engage more. The one thing that I should have been doing all along. I always felt that I wasn't witty enough, or worthy enough, or that anyone would want to hear what I had to say on Instagram or anywhere else for that matter. And maybe they still don't. But there are over 73 million people on Instagram so chances are that someone, somewhere, is likely to like what anyone says! You just have to start chatting. I was late to the Instagram party for sure - but, I kind of understand it (a little better) now. I started to accept invitations. Not a lot of invitations but ones that were intimate and appealed to me. I've always been the one to do the school run and have felt that it's "my job" to be here. But the children are older now and Mr SG seems to have a little more flexibility at work. Funny how that's coincided with them getting older (and therefore easier). I'm sure that he never appeared before 7.30pm when they were little. Hmmmm. Going to certain events enabled me to meet new people, to ask questions and to realise that the best way to learn was to talk to people who were doing the same things as me. How long did it take for that particular penny to drop then Beth? I reached out and asked for advice from individuals who I already knew before I crept into my hole. And guess what? They got back to me. They didn't tell me to go away, or say that I was boring or unworthy of a response. They answered my questions, gave me resources to follow up on and reminded me how nice how everyone out there really is. I mean thinking about it, who doesn't love being asked for advice? It makes us feel like we have something worthy to contribute. I followed up on the resources that were suggested to me I've listened to podcasts (sometimes several times over), read blogs to which I've been referred, read books and articles, looked at updating the blog and tried to arm myself with information. As they say, knowledge is power. And you know something? I've not come across anything which makes me think that what I want to achieve, isn't achievable. I've changed my mindset As a result of listening to inspiring women on podcasts, I've definitely changed my mindset. I've taken courage in both hands and set out exactly what it is that I would like to get out of a project. I've turned other projects down because they will take up too much of my time and stop me from focussing on what I want to focus on. I'm in the process of creating a second "office" area dedicated solely to blogging, I'm thinking about getting an assistant and you know something? I feel a whole lot better. Visualisation works. Writing down goals works. Reaching out, asking for help, arming yourself with knowledge. It all helps to change your mindset. I know that lots of people thought - and probably still do think - that I was crazy to want to work at QVC. But I love it! The people are fabulous, we have some great brands coming on board and I always love seeing who's in the dressing rooms. And this is where you lovely people come in. A few years ago I remember Laura from the blog Wearing It Today asking her readers what they would like to see more of. I was horrified - not because it wasn't a brilliant thing to do - how can you really deliver what your readers want if you don't ask them what they want? But because it was so brave. What if they said that they didn't like what she wrote? What if they were mean? What if they said she was getting it all wrong? But I'm going to ask you all - what would you like to see more of on here? My plan is to have separate headings for fashion, fitness and lifestyle - all of which will have sub categories and to post on regular days, so that I manage expectations better. Instagram has taken over quite a lot from daily outfit posts but there's still plenty to write about. I do still think that there is a (miniscule) niche that I can fill in this saturated blogging market and I have a list as long as my arm of posts that I want to write. So, if you have a minute, do please let me know. And if no-one comments, so be it. I shall go about things in my own way - but this time I will engage with others first! Oh and there may just be the odd post about gin too. Wouldn't it be lovely one day if we could all share one together? Oooh, I love it when I come across a brand that makes my heart skip a beat! 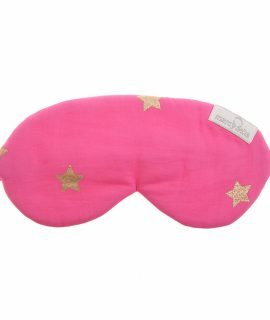 And we all know that a brand which sells very pink things, tends to do that to me. 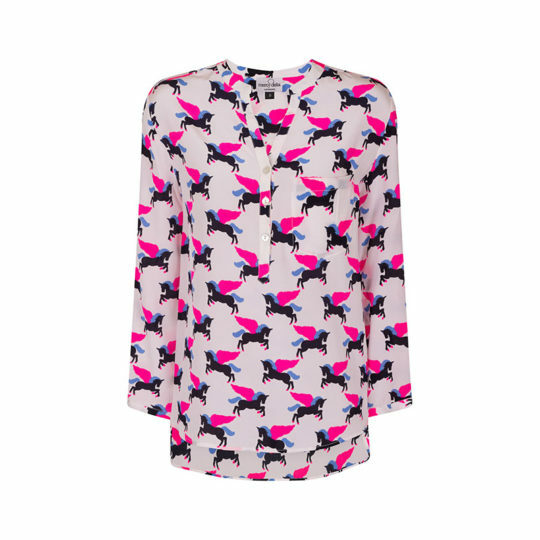 I first came across Mercy Delta in a boutique Guernsey in the summer, where I bought two silk blouses - one with pink hearts and one with pink flamingos on it. I love wearing them as they're just so cheery and they add that all important splash of colour to otherwise dark winter outfits, whilst in the summer they are great with denim shorts and pleated skirts. Mercy Delta is a British brand which was founded by its owner, Katie, seven years ago now, with the blouses being launched six years ago. 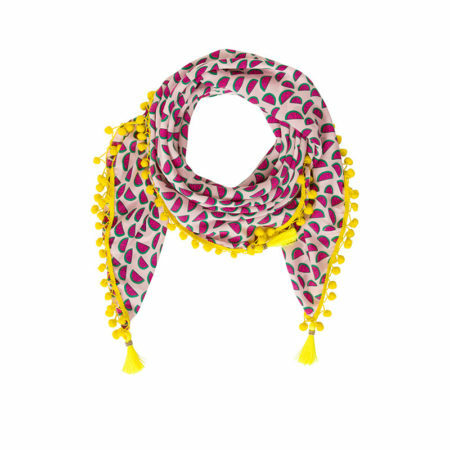 Katie designs all of the original prints herself, with each piece being hand-printed on 100% silk and being made by artisans in ethical factories in India. If you're someone who loves stars, hearts, flamingos, unicorns or animal prints, this could be a brand for you. 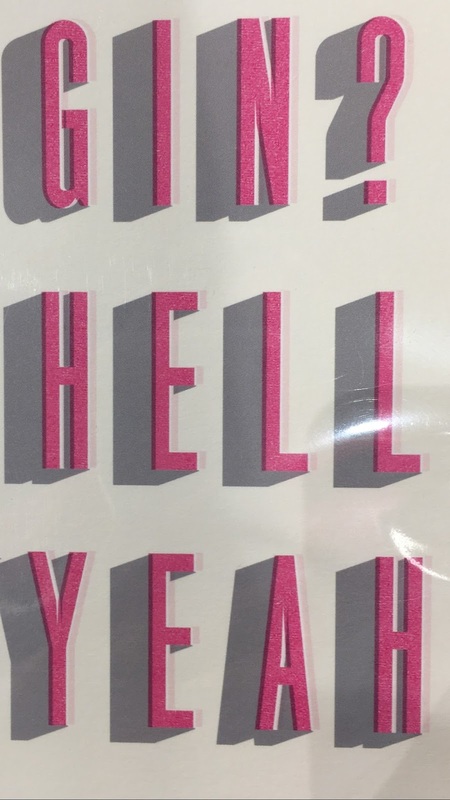 It can be really hard to find prints that make your heart skip a beat but Katie's just seem to tap into something that makes me go "Ooooohhhhh!" 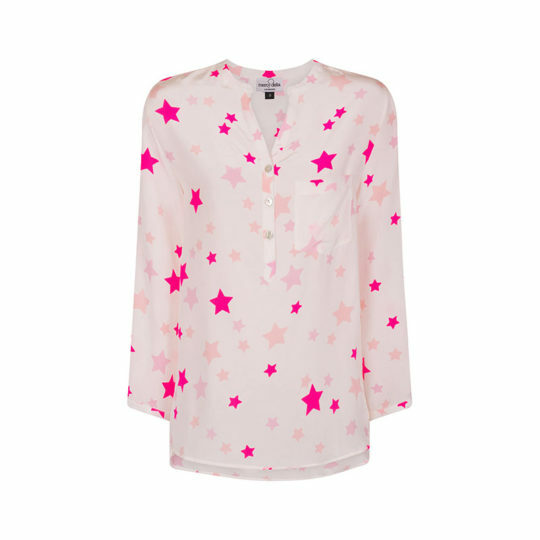 And dare I say it but the older I get, the more I appreciate a silk blouse. I'm even able to wear mine in the winter - with suitable layers of course - and they seem so much warmer than cotton ones. And as well as loving the 100% silk, the ethical considerations are also assuming more of a significance for me too. I've recently worked with a few brands who promote their ethical status and it's definitely something which is an attractive part of their brand ethos. 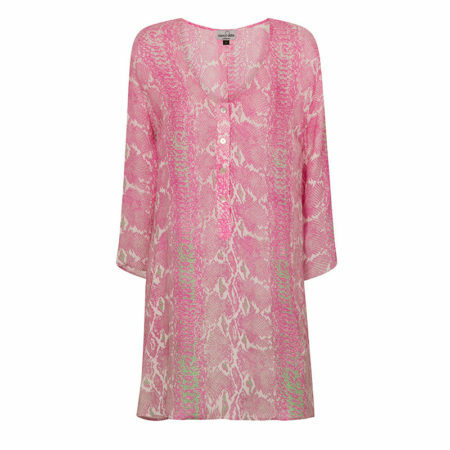 And the longer styled tops, such as this python print tunic dress (£160), would be perfect on the beach, or over shorts or skinny cropped trousers in the summer. And with this stars enchanted eye mask (Mercy Delta £22) there's no reason why you can't be super stylish, even when snoozing. Yes I like that because snoozing is good - very good! I think that it's fair to say that Mercy Delta pieces are a considered purchase but given the way that are designed and made, that's not surprising. They give so much back that, if it's in any way possible to make the investment, they are so worth it and the cost per wear can be so much less than a one hit wonder that sits at the back of your wardrobe. For the sake of completeness and transparency, I came to work with Mercy Delta after I hunted them down on Instgram subsequent to finding their pieces in the Guernsey boutique. I couldn't believe that I hadn't found them before, especially given the "pinkness" of their prints! 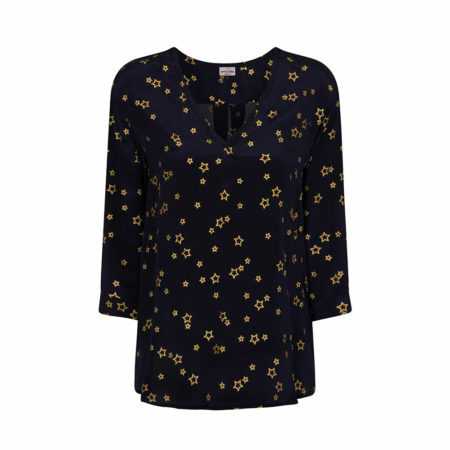 So we got chatting and they asked if I would like to receive a blouse as a gift, in return for featuring the blouse on Instagram and writing about them on here - which I was delighted to do as I genuinely love their pieces. A few years ago I would probably have balked at the idea of putting oil on my face or hair. The phrase "chip pan face" or "greasy hair" would quite possibly have been ringing in my ears as I applied them. 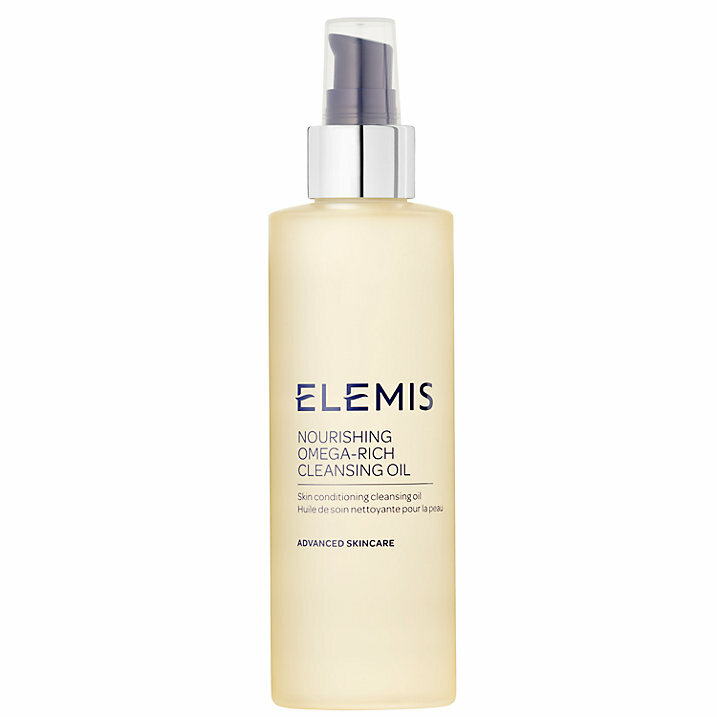 However I was given some cleansing oil as a gift by Elemis and since then I haven't looked back. I've been grappling with the words to use to describe what it feels like when applying oil to one's face. At first I was totally confused as to what to do but then I realised that it was just the same as using a cleansing cream - although nicer. There's a sort of ritual about applying a face oil which has a calming effect, allowing you to take a moment at the start, or end, of a busy day. It just feels so lovely and this one washes off with water - so no need for cotton wool or wipes. 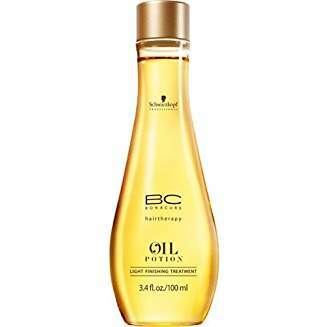 If your hair feels in any way wiry, or not as silky as it once did, miracle oil could well be the answer. I've also used Moroccan Oil, which is also great. It just makes my hair feel like my own again, as opposed to the grey, wiry mass that lurks beneath. I wait about 10 minutes after I've come out of the shower before applying - so when my hair is still damp but not dripping - and then I use about the size of a 5p piece. It makes it so much easier to manage and it really does feel like it used to. And after discovering cleansing oil and hair oil, I then discovered face oil. I met Saira at QVC as we were sharing a dressing room. She was due to go on TV and talk about her anti-ageing face oil and she gave me a bottle of her oil to try. 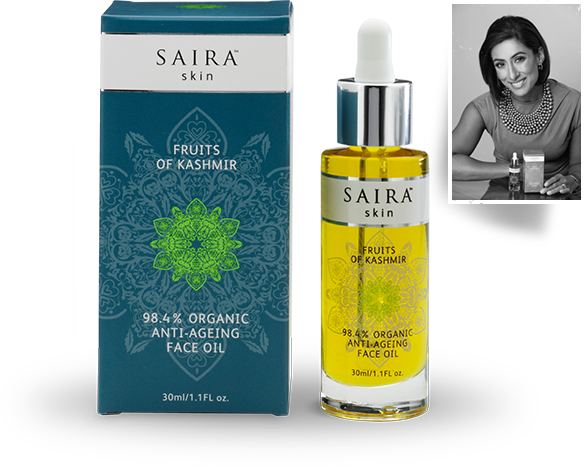 She explained how it was one of only a few face oils that were certified organic, plus it is also Halal and vegan. She told me how I should warm it in my hands before patting (not rubbing) it on to my face. I absolutely love this product and now that I've run out of it, I'm planning to get some more. It smells lovely and is so nice to put on your face at the end of a long day. 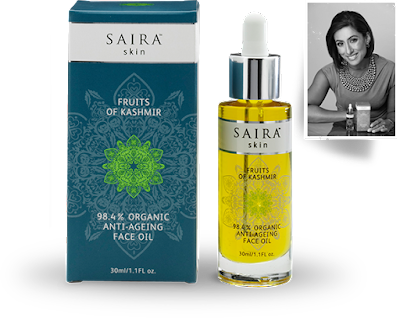 There's a lot of information on Saira's website about her product and it's worth taking a look if you're looking for something that is natural, GM free and which isn't tested on animals. So yes, since I've got older, I've really started to see the benefit of using oils on my face and hair. Is anyone with me or are you still scarred by the associations of oil going hand in hand with greasy hair and skin as per our adolescent selves? !